Hello! So it is that time again when we further apprise you with an absolute stunning and top quality property from around the World. This time around, we shall be getting enlightened about a space that is nestled in a dream destination for many- Maldives. Without much ado, here is all about Gili Lankanfushi… Whether you are planning for your honeymoon or that milestone anniversary, we are very sure- this property will truly prove to be breathtaking. And what’s more is that a little birdie told us that this place been the preferred choice for global icons like Cristiano Ronaldo. A: Gili Lankanfushi is an intimate coral island that has a Palm Beach with an expanse of white sand beach below a blanket of stars and a horizon beach that is overlooking the quiet bay of the resort island. With many coral gardens around, we have a habitat of marine life living in the lagoons circled around the island and house reef on the borders of azure waters of the island of Lankanfushi. -Friday Concept: Named after Robinson Crusoe’s loyal friend, Mr. Friday makes guests’ stay as pleasant as possible. Day or night, the Mr. Friday will swiftly answer any request in mind. Even keeping the little ones entertained with storytelling and activities while parents spend some romantic time reconnecting with each other. -Meera Spa offering holistic treatments with facilities including yoga/meditation champa, steam and sauna rooms, as well as a relaxation area. -Ocean Paradise Dive Centre offering PADI course and diving sessions to several dive sites including the world famous Manta Point. -Wedding Pavilion for celebrations of memorable milestones. -Library offering an extensive selection of easy reading and reference books. -Poolside offers the perfect location to soak up the sun, relax on loungers, stargazing into the night or to sit beside the traditional Maldivian fireside “Alifan Fenda”. -Leisure activities include sunrise yoga, meditation sessions, variety of water sports, tennis court, volleyball, table-tennis, petanque, jogging, pool table, a large selection of board games, movie screenings at the Jungle Cinema. -Other activities that can be organized upon request are guided snorkeling trips, water skiing, sunrise/sunset dhoni cruises, sandbank picnic, dolphin cruise, excursions to the capital city, private movie screenings at your location of choice and special entertainment programs for kids by our Mr. Friday. A: Our destination dining experience at locations such as One Palm is a must try, as it provides you with a unique Gili Moment and an endless choice of romantic destinations to escape to. By the Sea presents a Japanese Culinary adventure combined with breathtaking views of the ocean. Our newly refurbished and air conditioned Sushi Counter and brand new Teppanyaki Counter has only added to our guests’ culinary experience. -Private Reserve: The largest standalone over water villa in the world standing at 1,700sqm featuring a private spa facility with sauna, indoor and outdoor treatment pavilion, gymnasium, private cinema on the 2nd floor of the central living area, an infinity pool, resident Mr. and/or Ms. Friday on call 24hours, fully equipped gourmet kitchen, a waterslide installed from the top deck into the coral pool. Additionally, there are also sea level sundecks with sun loungers with clear views of coral gardens and amazing marine life. Dining spaces include roof-top terraces with daybed and two outdoor dining pavilions. -Luxury of reconnecting with nature in a natural environment with our “No Shoes, No News” philosophy, and doing as much or as little as you want at the resort. -Mr. Friday Concept about which we shared above. -Eco-friendly concept focusing on sustainability in all activities that we do with/for guests and internally with staff. Activities include organic garden farming, producing our own water, an in-house eco-center to recycle and reuse materials – turning them into new items, more significantly our coral line project, where our marine biologist grow these corals. Main Restaurant offering a great buffet and a la carte breakfast. Daily changing gourmet experience for dinner as well as theme nights such as Mediterranean Spice Souk, Asian Street Market and Passage to India evenings. By the Sea presents a Japanese Culinary adventure combined with breathtaking views of the ocean. Over Water Bar offering a casual menu that features a wide selection of fresh salad leaves from the garden, sushi. Mediterranean delicacies, daily catch of fish, imported meats as well as local spices and herbs. The Underground Wine Cellar and Chocolate Cave. Destination dining offering a slice of paradise with an endless choice of romantic destinations to escape to. A: Our Island is located 20 minutes away from Male International Airport. Just seeing this place in pictures has been such a delight, imagine what the up-close experience would be like! We love our wine. This drink is our most preferred especially in moments of celebrations and merry-making. And one is constantly trying to develop a nose for good wines. Lately, we came across a bottle of joy worth mentioning. 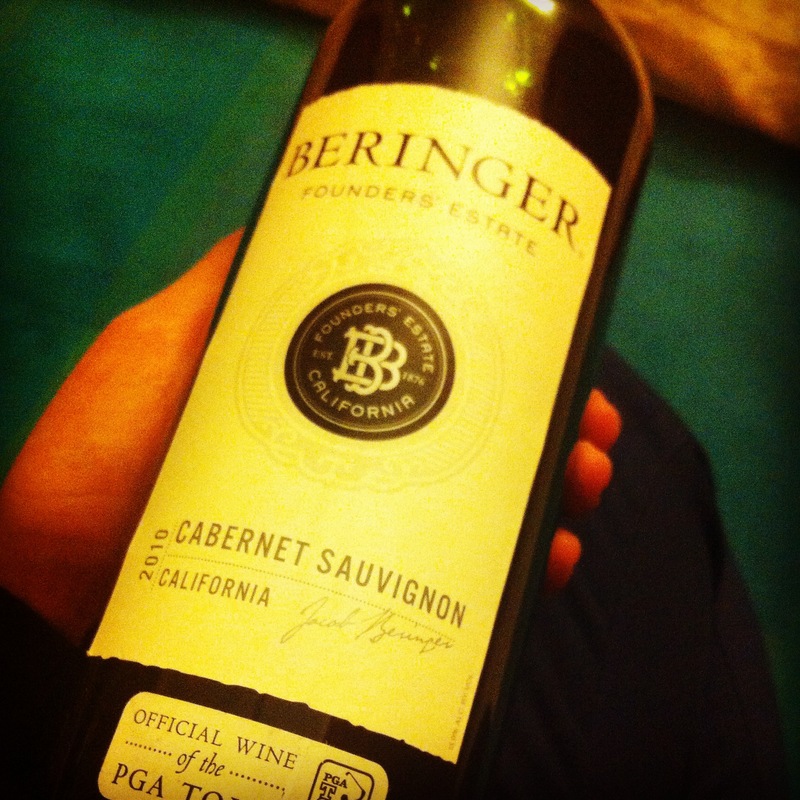 Beringer Founders’ Estate Cabernet Sauvignon, a carefully crafted wine made with deep berry, toasted oak and vanilla spice flavours. Time to thank, Aspri Spirits, one of the leading importers and distributors of premium wines and spirits in India who have also got in the Beringer wines. One was supremely thrilled to treat oneself these winters with this wine comprising of one of the world’s most widely recognized red wine grape varieties. It undoubtedly made for a smooth drink and worked well to sooth one’s taste buds. Lovely floral notes that are reminiscent of the wonderfully refreshing Spumante of Italy, with citrus and strawberry fruit nuances. Mexican and Thai food have the perfect amount of spice to be paired with the wine. Aromas of lime and apple with just a hint of honeysuckle are complemented by the nectarine and apricot components on the palate.It works well on hot days and warm summer nights as a pre-dinner sipper or how about pairing it with some fresh salads and grilled chicken. P.S. Not to forget mentioning that none of these quality wines are going to pinch your pockets since they are priced rather well.